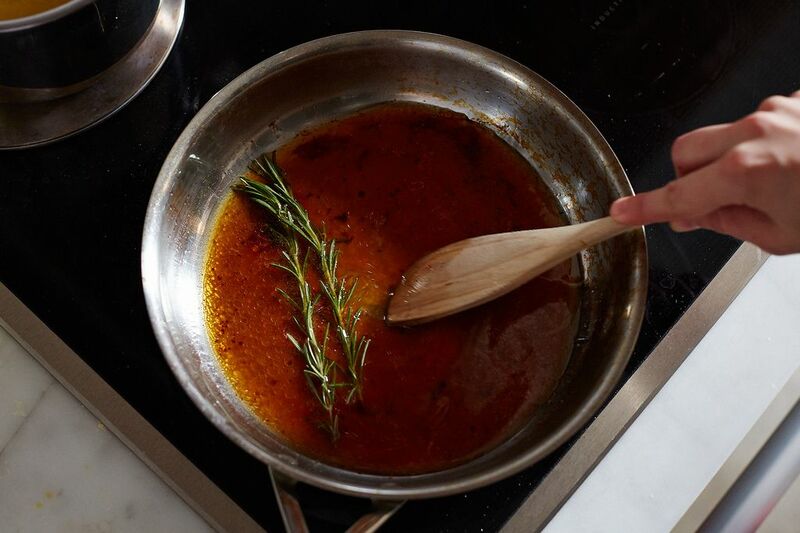 French cooks are fond of fond. That’s not redundant – fond translates to ‘base’ or ‘foundation,’ and rightly so, as it has taken its place as the foundation for pretty much every soup, sauce and condiment known in French cookery. The four main stock types are white, brown, fish and vegetable. 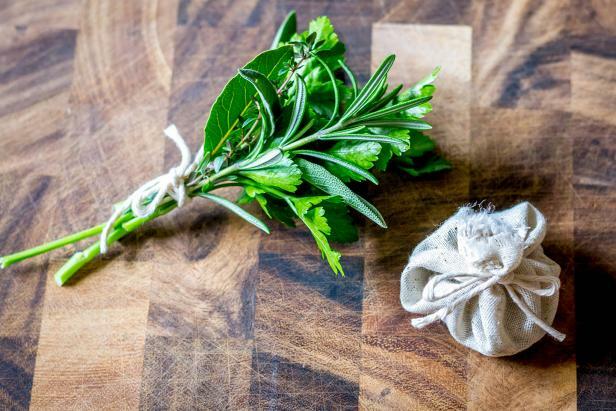 The most basic white and fish stocks are based around animal bone, root vegetable and a combination of spices and herbs called ‘bouquet garni.’ Combining these items and covering them with cold water, then allow it to simmer for hours and hours is the basis of stock-making. More complex and flavorful varieties (brown stocks) involve smearing those bones with tomato paste, roasting them until they’re dark, and then submerging them in water to complete the stock-making process. Others use only vegetables (vegetable stocks); some use wines or alcohols for infusions (fortified stocks). For every cook, there’s a different process, but I’m here to detail the basics. In culinary school, we would begin stock on day one, chopping vegetables, tying our bouquet garni and submerging our ingredients. Day two, we’d return to the still-simmering pots of liquid, prepared to strain and complete the process. It was other students’ responsibility in those late-night classes to monitor your simmering stock. We watched each other’s work and took the role seriously. Your dishes (and thusly your grade) depended on it and we were all in it together. Perfect stock is rich with gelatin and collagen, extracted from the marrow of those bones. In fact, it’s so rich with it that it will gelatinize and solidify once chilled. The more marrow in the bones, the better the stock, so joint bones and the bones of young animals (like veal) are most often used. The flexibility of fish and poultry bones are also due to collagen deposits, so they make excellent stocks as well. 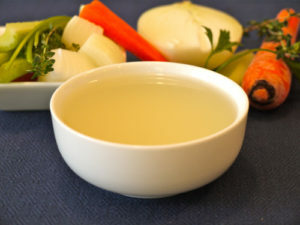 Vegetable stock won’t gelatinize but it should be rich and flavorful all the same. Will you make stock at home on a routine basis? Probably not. It’s just not time or cost-effective to do so, as procuring bones is sometimes more expensive than it should be, and it takes anywhere from 5 to 20 hours to make a quality product. Instead, you’ll probably reach for an industrial boxed variety or purchase your stock in the form of a reduced base. How can you tell if it’s worth anything? Chill the box, and if it’s more solid in the morning than it was the night before, you’re on the right track. Stock has no added salt and no strong flavor elements are added, ensuring that it’s a dynamic base for pretty much anything. 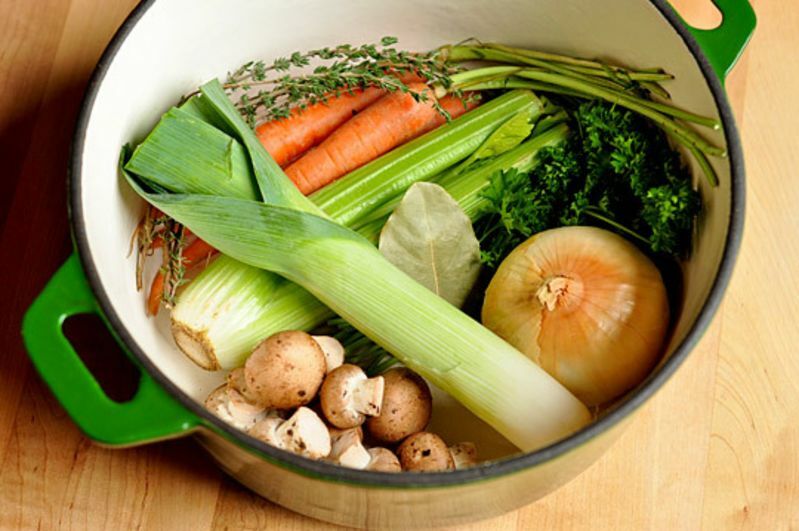 Adding garlic, for example, will impart garlic flavors to everything you use the stock for, which you may not want. So choose stock elements carefully, keeping in mind what your ultimate use for the stock is. Below are some basic MOPs for stock. If you have questions about how to use it, different versions or would like some more info, just comment below. Whether you do it yourself or buy it pre-done, you got this!